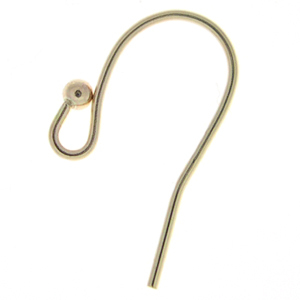 14k Gold-Filled Fancy French Hook (also called Fish Hook) Earwires. These are just like the Sterling Silver Earwires with 2mm ball, just in Gold-Filled!! Our most popular Earwire now available for our gold-filled customers! !